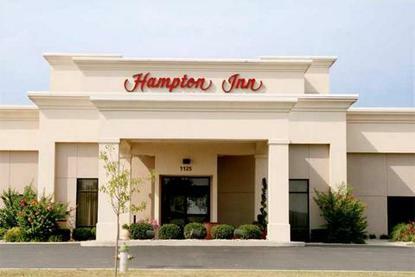 The Hampton Inn Lebanon is located at Crossroads Industrial Park, just minutes from our downtown area. We feature 58 guest rooms, indoor pool, fitness center and guest laundry. Amenities include ''On The House'' hot breakfast bar, in-room coffee maker, Wireless High-Speed Internet Access, iron and ironing board, hair dryer, 25-inch TV with in-room movies and Nintendo rentals, and clock radio. Meeting-banquet rooms are available. Rollaway, refrigerators and microwaves are available upon request for a nominal fee.